Animal feed is consisting of variety supplements such as plant materials, vegetable proteins, cereals, and sometimes meat. These materials cannot fully digest and utilized by animals. Feed enzymes are used as feed additives to increase the digestion of animals. In order to save the feed costs, many livestock producers include enzymes in feed additives. This will enable them to produce more meat per animal or to produce the same amount of meat cheaper and faster. Enzymes catalyze chemical processes that convert nutrients into energy and new tissue. Generally, phytases, carbohydrates and proteases are most commonly used in the feed additives. Feed enzymes market is mainly driven by its cost-effectiveness in feed additives with high yield. In addition, increase in demand for the livestock, growing health concerns of animal health and increase in meat production. According to Organization for Economic Cooperation and Development, “OECD-FAO Agricultural Outlook” Global meat production is projected to be 16% higher in 2025 than in the base period (2013-15). Furthermore, increase in demand for dairy products and changing lifestyles in developing regions towards an increase in protein intake expected to bolster the feed enzymes market during the forecast period. However, regulatory requirements in animal supplements and high costs of feed are expected to hamper the feed enzymes market during the forecast period. Feed enzymes market expected to grow at an unprecedented growth rate owing to increase in meat consumption and growing concerns about animal health worldwide. According to The Food and Agriculture Organization of the United Nations (FAO), total worldwide meat production is estimated 321 million tonnes in 2016. The market is highly competitive in nature due to the presence of a large number of companies around the world. Market players are adopting strategies such as product launches and new product developments in order to increase their market share. For instance, Canadian Bio-System Inc. launched two feed enzyme technology products super enzyme-cs and concentrase-p, custom formulated for livestock industry customers in the Philippines and Southeast Asia. Market players are concentrated on mergers and acquisitions to strengthen feed enzyme product portfolio. For instance, in October 2013, BASF SE, acquired US based biotechnology company, Verenium Corporation to strengthen their R&D in enzyme development. Geographically feed enzymes market is segmented into following regions viz. North America, Europe, Asia Pacific, Latin America, and Middle East and Africa. North America feed enzymes market expected to grow at notable rates owing to well-established livestock production industry, rising animal health concerns and growing demand for meat. 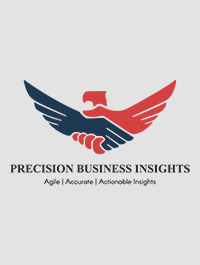 Asia Pacific feed enzymes market is expected to grow at fastest rates owing to the low R&D cost and local and international players concentrated on the development of new products and mergers and acquisitions. For instance, Advanced Enzyme Technologies Ltd., acquired 70% stake in JC Biotech Pvt. Ltd to boost their market share. Especially, developing countries such as China and India are expected to show lucrative growth opportunities owing to changing lifestyle and growing demand for meat and dairy products. Europe feed enzymes market is expected to grow at notable rates owing to increase in R&D investments and rising concerns of animal health. Some of the players in feed enzymes market are Koninklijke DSM N.V. (Netherlands), DuPont (U.S.), BIO-CAT (U.S.), Associated British Foods plc. (U.K.), Bio Resource International, Inc. (U.S.), Adisseo France SAS (France), Advanced Enzyme Technologies Ltd. (India), Azelis Holdings SA (Belgium), BASF SE (Germany), Alltech Inc. (U.S.) and Rossari Biotech Ltd (India) to name a few. In November 2016, Danisco A/S (a subsidiary of E. I. du Pont de Nemours and Company), launched axtra phy enzyme, fast acting phytase enzyme in animal nutrition in Canada. In March 2014, BioResource International, Inc. Launched xylan max, 1, 4-beta-xylanase enzyme that delivers consistently high levels of energy and improved digestibility in animal feed.